“We must use the technology to enhance the education of the nation and thereby its compatibility. In poicy-making from primary school to universities we. 1 “We must use the technology to enhance the education of the nation and thereby its compatibility. 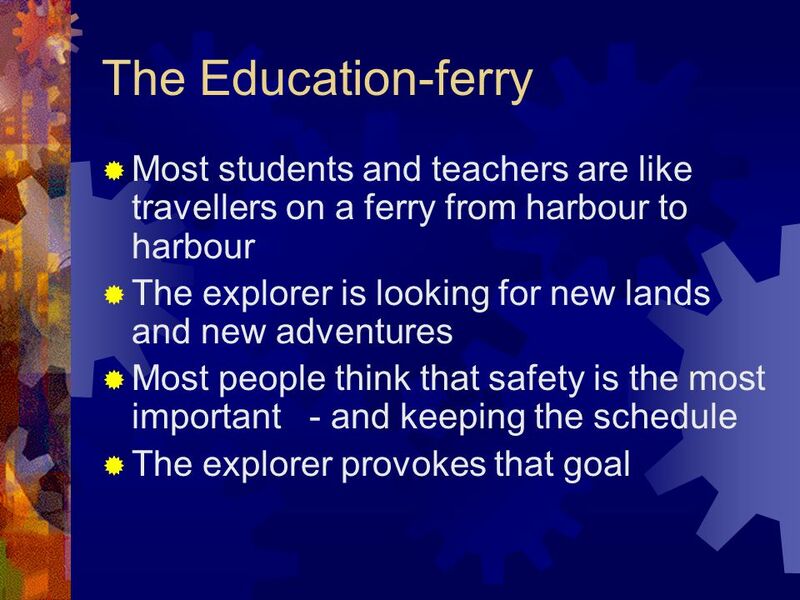 In poicy-making from primary school to universities we must see to that the advantages of ICT are used.” ( Polcy of the ministery of education in Iceland 1996) Explorer on the Education –ferry Þuríður Jóhannsdóttir Iceland University of Education This presentation will probably involve audience discussion, which will create action items. Use PowerPoint to keep track of these action items during your presentation In Slide Show, click on the right mouse button Select “Meeting Minder” Select the “Action Items” tab Type in action items as they come up Click OK to dismiss this box This will automatically create an Action Item slide at the end of your presentation with your points entered. 2 What is the situation like? 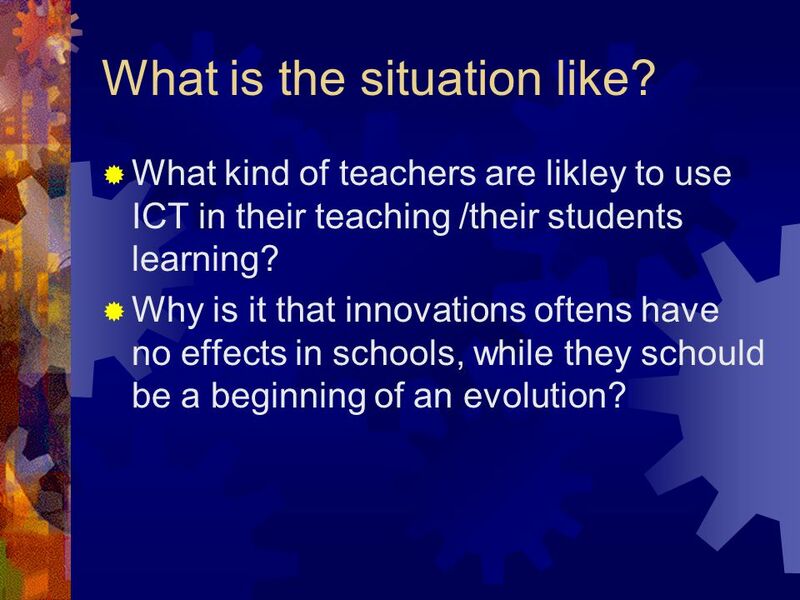  What kind of teachers are likley to use ICT in their teaching /their students learning? 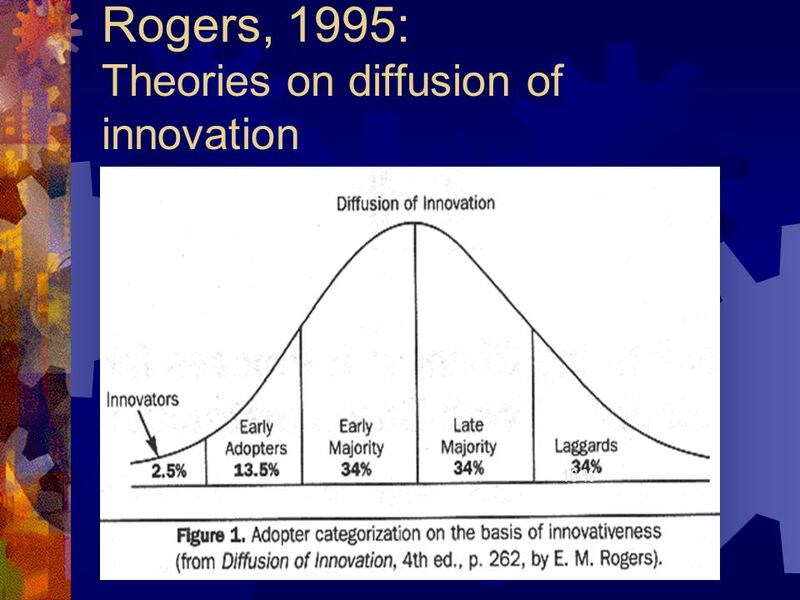  Why is it that innovations oftens have no effects in schools, while they schould be a beginning of an evolution? 10 How the innovator estimates the situation?  “It is the same people all the time, the same innovators always doing this job outside their schedule and out of vision. 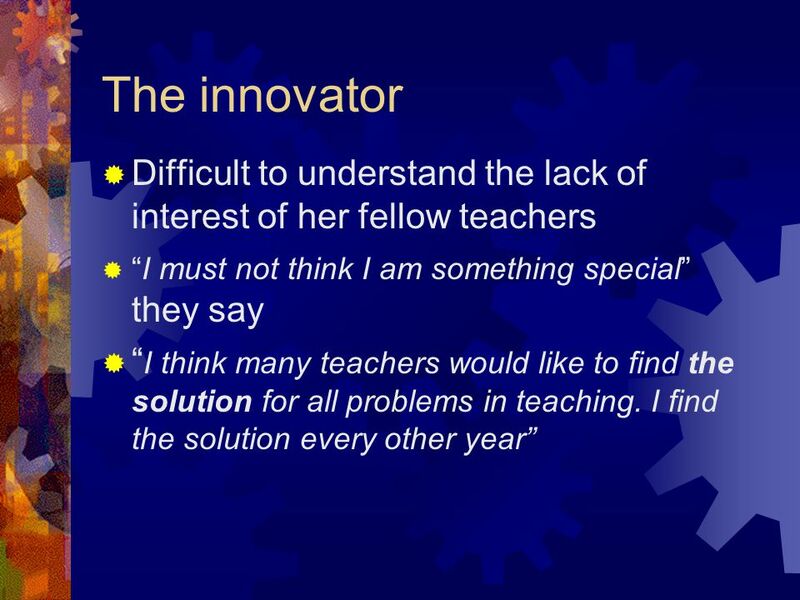 They will start to burn out....I have always had to do this on top of other jobs.”  Smaller projects and better prepared  The administration of the schools is very important  The schools needs counsellers with an experience in ICT-use in education  Make the innovators councellers ! 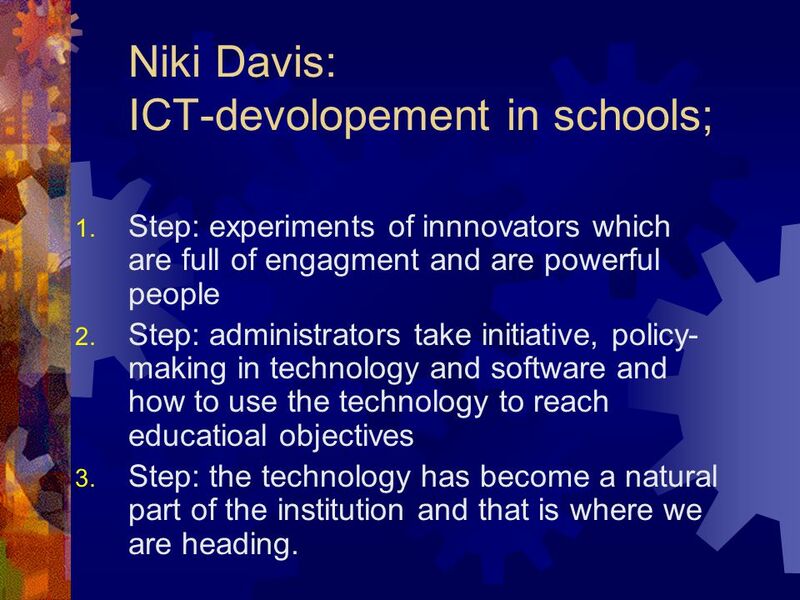 13 Niki Davis: ICT-devolopement in schools; 1. 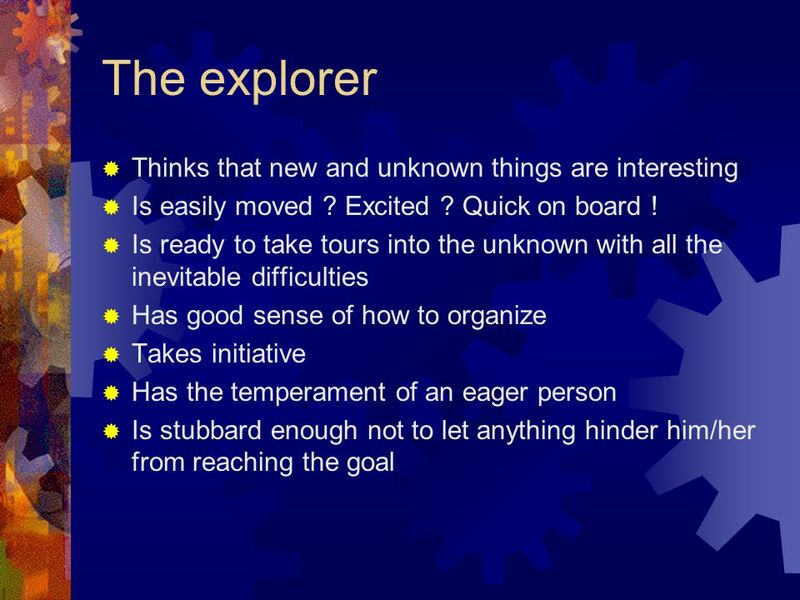 Step: experiments of innnovators which are full of engagment and are powerful people 2. Step: administrators take initiative, policy- making in technology and software and how to use the technology to reach educatioal objectives 3. Step: the technology has become a natural part of the institution and that is where we are heading. 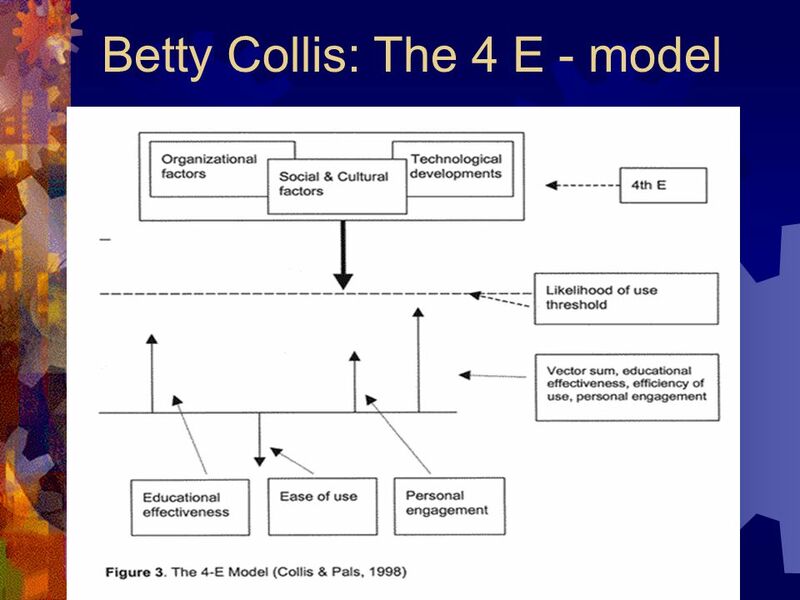 15 Robinsons model on devolopement of ICT in schools 1. Technology; that we have the devices and that teachers get training in computer-use 2. 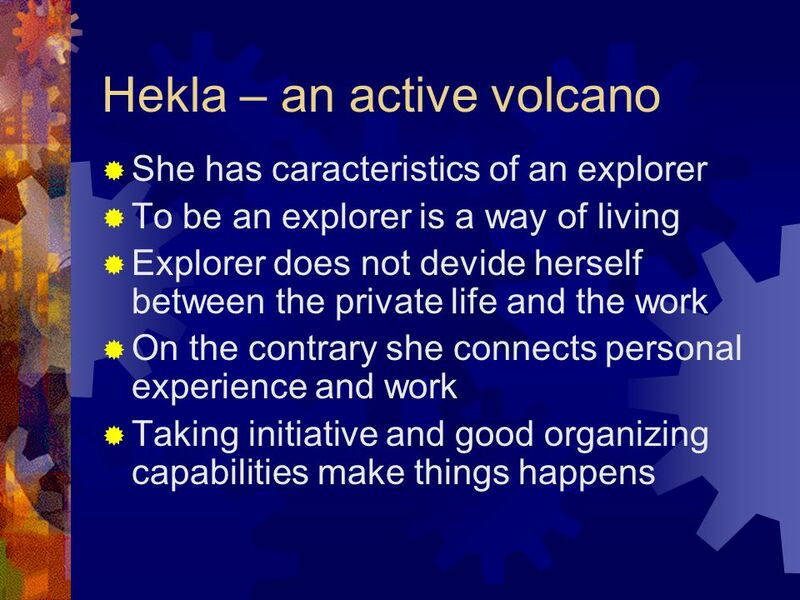 Didactics: how the technology is useful in learning and teaching, e.g. word and excel in writing and math. 3. The human factor and the institution; ICT in schools demands change in how students and teachers work at school and alsoo change of the the school as an institution. 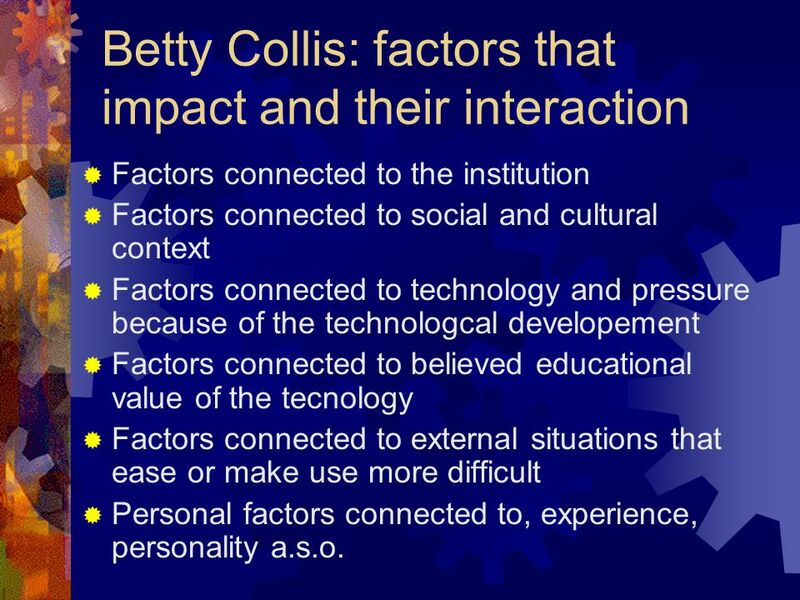 16 Betty Collis: factors that impact and their interaction  Factors connected to the institution  Factors connected to social and cultural context  Factors connected to technology and pressure because of the technologcal developement  Factors connected to believed educational value of the tecnology  Factors connected to external situations that ease or make use more difficult  Personal factors connected to, experience, personality a.s.o. Download ppt "“We must use the technology to enhance the education of the nation and thereby its compatibility. In poicy-making from primary school to universities we." 1 Gate Keeping at National and Local Level This presentation will probably involve audience discussion, which will create action items. Use PowerPoint. INFORMATION SYSTEMS APPLIED MULTIMEDIA HIGHER This presentation will probably involve audience discussion, which will create action items. Use PowerPoint. Investigating the effectiveness of web-based stylistics teaching Dawn Archer, Mick Short & Stephanie Strong Lancaster University This presentation will. Maternal and Child Health Bureau Seminars on Adolescent Health: Nutrition and Physical Activity, Part I July 30, 2003 Health Resources and Services Administration. 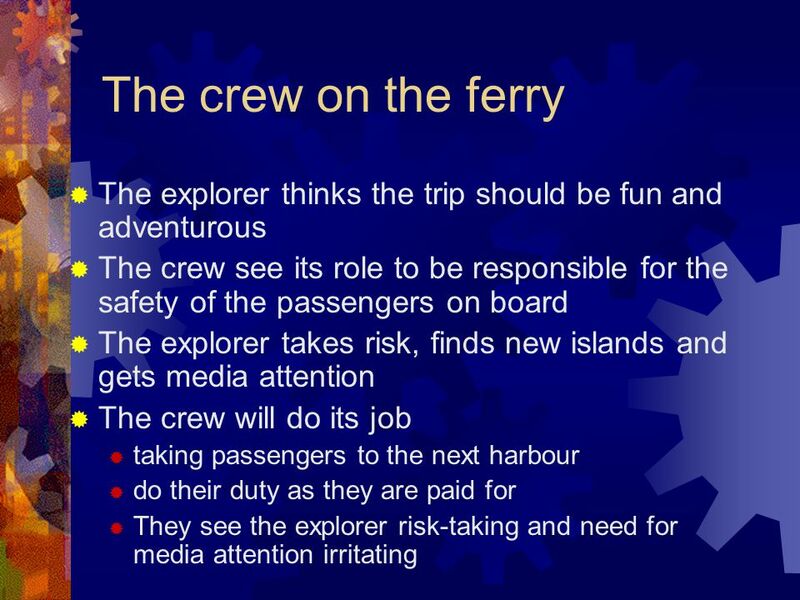 1 INFORMATION SYSTEMS APPLIED MULTIMEDIA HIGHER This presentation will probably involve audience discussion, which will create action items. Use PowerPoint. This presentation will probably involve audience discussion, which will create action items. Use PowerPoint to keep track of these action items during. Investigating Learner Autonomy in a Virtual EFL Classroom Jo Mynard Research in ELT Conference Bangkok, April 2003 This presentation will probably involve. 08/20/101 Ageometer Ananta Bhadra Lamichhane Nana Assyne Pankaj Jaiswal This presentation will probably involve audience discussion, which will create. Project Status Chemical Engineering Lab Scheduler Team 5 This presentation will probably involve audience discussion, which will create action items. Use. Looking into Primary School Classrooms where Information and Communication Technology is being used Presenter: Þuríður Jóhannsdóttir NERA-congress in Reykjavík. This mountain blocks a lot Young Icelanders use multimedia making creative products outside school and ICT to communicate with the world How do schools. Project Status Group B-4 This presentation will probably involve audience discussion, which will create action items. Use PowerPoint to keep track of these. Al Akhawayn University School of Humanities and Social Sciences Communication Studies Course „Public Relations Communication“ Prof. Dr. Mohammed Ibahrine. Introduction 12 VDC to 120 VAC Inverter Juan Tello This presentation will probably involve audience discussion, which will create action items. Use PowerPoint. CONNECT – Developing & Disseminating Excellent Mobility Management Measures for Young People Traffic and mobility psychology/education Insights on children’s.